We offer product range under this Ball Mills. •Mild Steel Heavy-duty Fabricated Structure For The Machine. 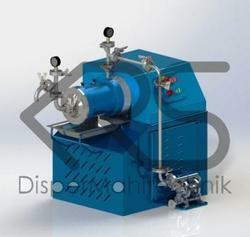 We are an eminent firm engaged in offering quality assured array of Bead Mill to our valued clients. 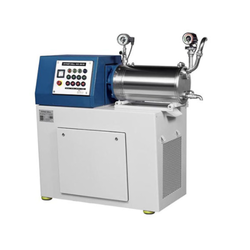 - It is suitable for superfine grinding of products of medium and high viscosity. - The specially designed chamber and separation device enable feeding and separation of materials to be more convenient. We are offering Continuous Bead Mills. Available from 20 Liters up to 2000 Liters per Batch, Grinding in 7 H+ Grinding in Paint. Grinding Media, Glass Beads, Zirconium Oxide.